As mentioned in the previous post where I sprayed the Zinc 182 primer, I was going to put filler over the paint. 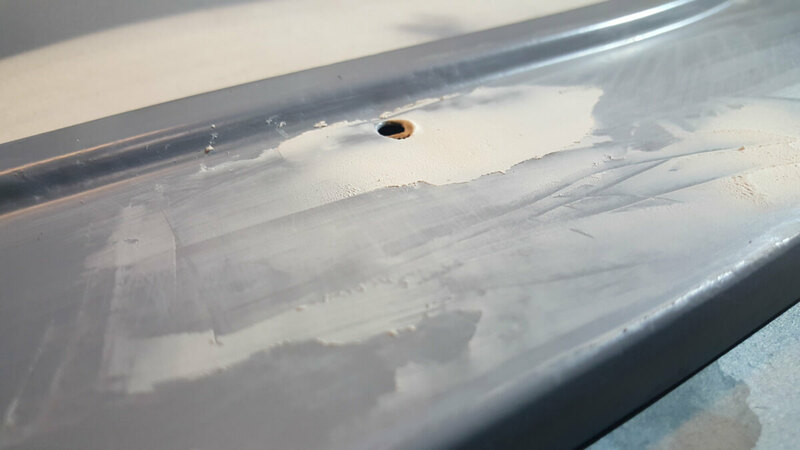 The idea behind this is to keep the rust inhibiting properties of the primer next to the existing rust, rather than over a layer of filler (which can absorb moisture). After the primer was sprayed, you can still see the pitting from the where the rust had eaten into the metal. 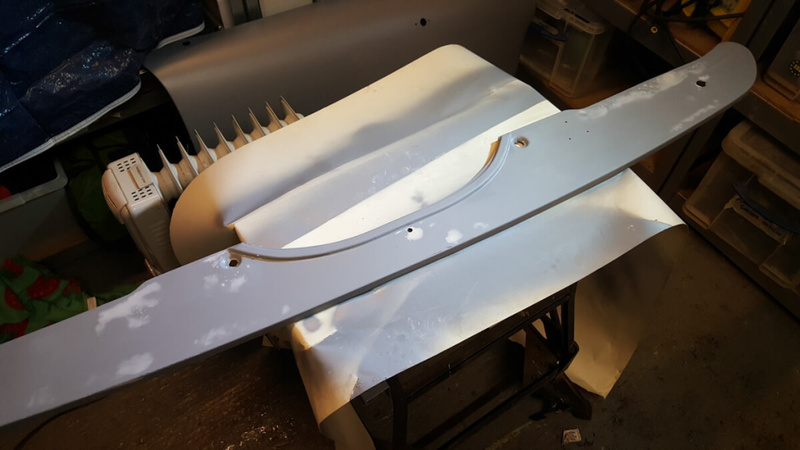 I was expecting this – even high build primer wouldn’t completely smooth out these bumps. For that reason I am using filler to create a smooth surface. 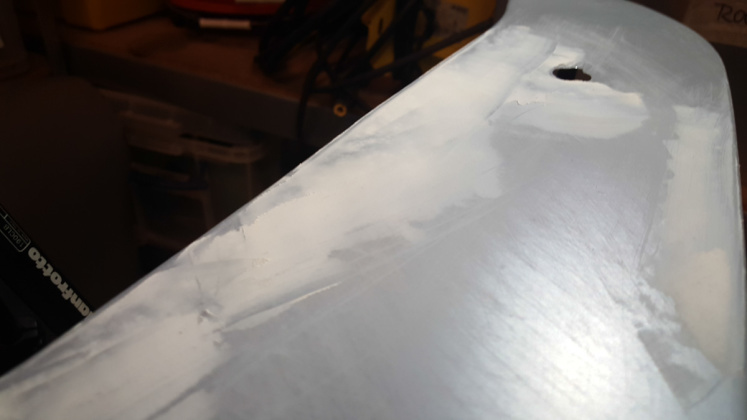 To give the filler something to grip onto, I keyed the primer around the pitted areas with 240 grit wet/dry paper. This is now ready for the filler which I applied fairly thinly, in order to reduce the sanding later on. 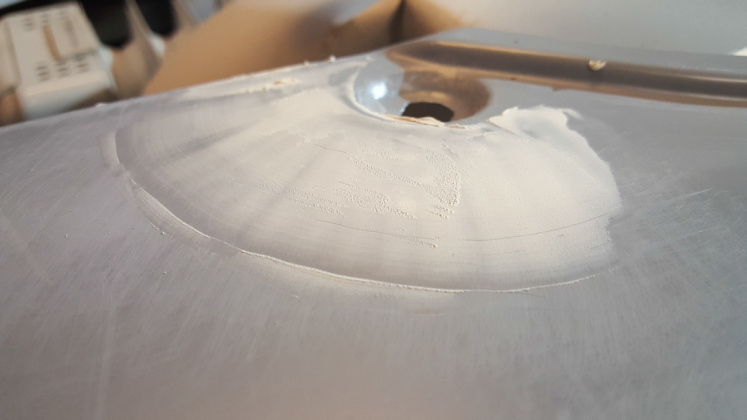 Once the filler had dried, it needed to be flattened. Again, this was done with 240 grit wet/dry, in order to give the next coat of primer a decent key. The panel is then cleaned and degreased. 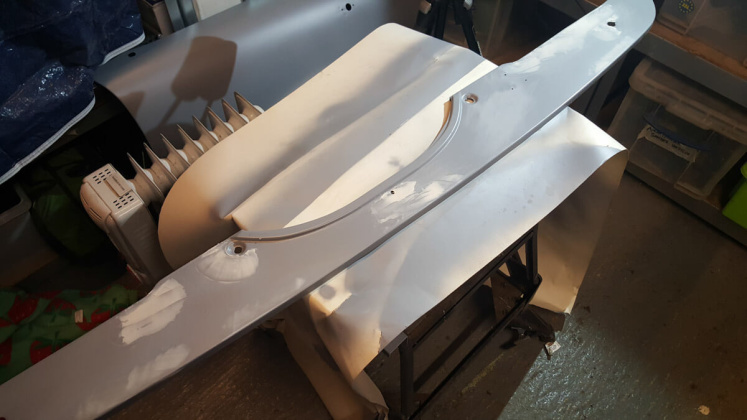 The end result looked like this and is now ready to be covered in the last layer of primer, before the colour coat goes on. If you haven’t seen the previous posts, you can check out what this panel looked like before here. In the next post, you can see me cover the filler with more primer, then spray the panel black.